Further Production steps can benefit from the optimum utilization of material and provide savings in paint / ink. Different lenghts of one Coil are no problem for us as well! We are happy to assist! 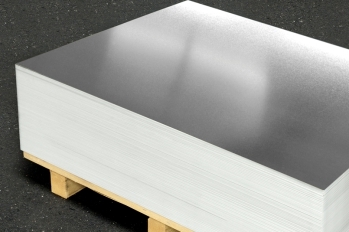 Straight-cut sheets are used for rectangular sheet metal parts such as fuselage cut-outs, crown corks, etc. 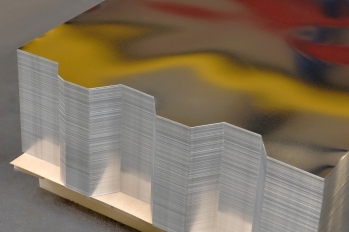 Scroll-cut sheets for round sheet metal parts such as covers or cups that provide a high level of material savings compared to the straight cut.